Home / Diet & Nutrition / Medication and grapefruit juice: A dangerous combination? Medication and grapefruit juice: A dangerous combination? Despite its general health benefits, grapefruit juice has long been a bit of a bogeyman to those who take certain prescription medications – but the list of drugs the morning drink can negatively affect may be longer than you think. According to the U.S. Food and Drug Administration, many drugs are broken down with the help of the enzyme CYP3A4 in the small intestine. 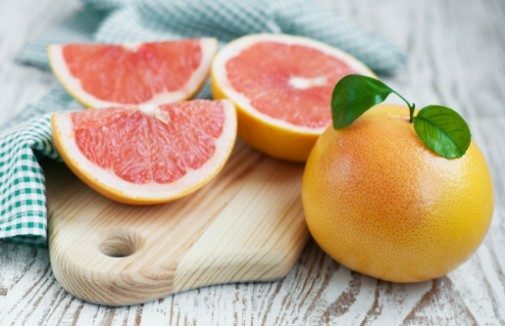 The grapefruit juice can interfere with the enzyme, so instead of being metabolized, more of the drug enters the bloodstream and can stay in the body longer, leading to too much of the drug in your system. Megan Corrigan, pharmacy manager at Advocate Good Samaritan Hospital in Downers Grove, Ill., says increased or decreased drug levels can lead to unwanted side effects or less effective treatment. A 2012 study published in the Canadian Medical Association Journal warned that, in some cases, it could even lead to a potentially fatal drug toxicity. However, the exact effects of this interaction in particular drugs or in certain patients can be difficult to generalize, Corrigan says, as each person and instance is different. Other items to potentially avoid when on certain prescription medications include some herbal and over-the-counter substances, alcohol, caffeine, dairy and other calcium-containing products. Patients should also be sure to know whether they are supposed to take their medicine on a full or empty stomach to ensure proper absorption. The only reliable way to get an idea of whether your medications could react poorly to something is to be open and honest with your doctor and speak to a pharmacist, Corrigan says. What about eating the whole grapefruit? ← Why do some people hate hugs?